All photos below are via the hotel or Airbnb property. Hotel Plaza Athenee is an Instagram favorite 5-star hotel located in the 8th Arrondissement, a 7 minute walk from Avenue des Champs-Elysées. Many of their suites and rooms offer Eiffel Tower views including the Eiffel Suite, Haute Couture Suite, Signature Eiffel Suite, l’Appartement, and more! Pullman Paris Eiffel Tower Hotel is a 4-star hotel located at the foot of the iconic Eiffel Tower. Thanks to its very close proximity, many of the rooms (yes, regular old rooms, not suites!) offer Eiffel Tower views. Eiffel Tower view rooms are conveniently titled “Eiffel Tower View” on Booking.com, making it very easy to tell which do and do not. Sofitel Paris Baltimore Tour Eiffel is another 5- star Eiffel Tower view hotel, this time located in the 16th Arrondissement! The “Eiffel Suite” on the 6th floor provides beautiful views of the tower. For another 5-star option in the 16th Arr., La Clef Tour Eiffel! 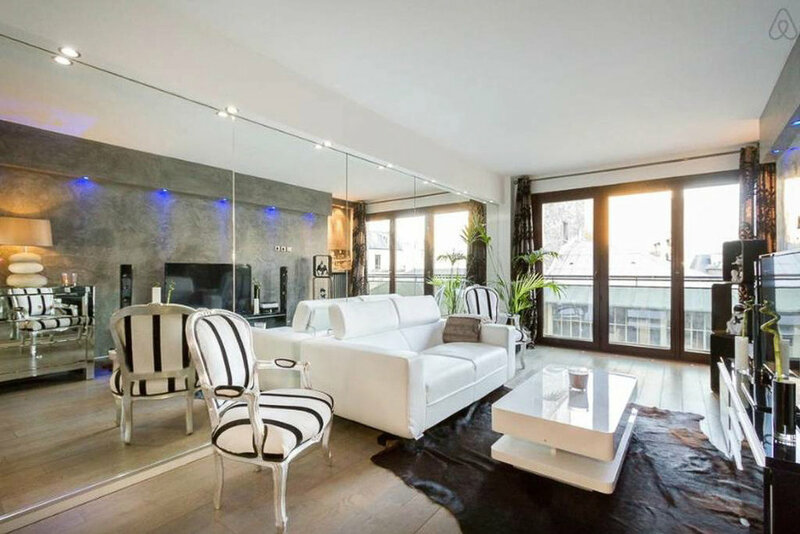 Résidence Charles Floquet is a collection of beautiful condos in the 7th Arrondissement very close to the Eiffel Tower. All 16 apartments are fully equipped and many offer direct views of the tower. If you want to feel more like a local but still stay somewhere modern and luxurious, this is the spot! Shangri-La Hotel Paris is a 5-star hotel in the 16th Arr. decorated in European Empire and Asian aesthetics. 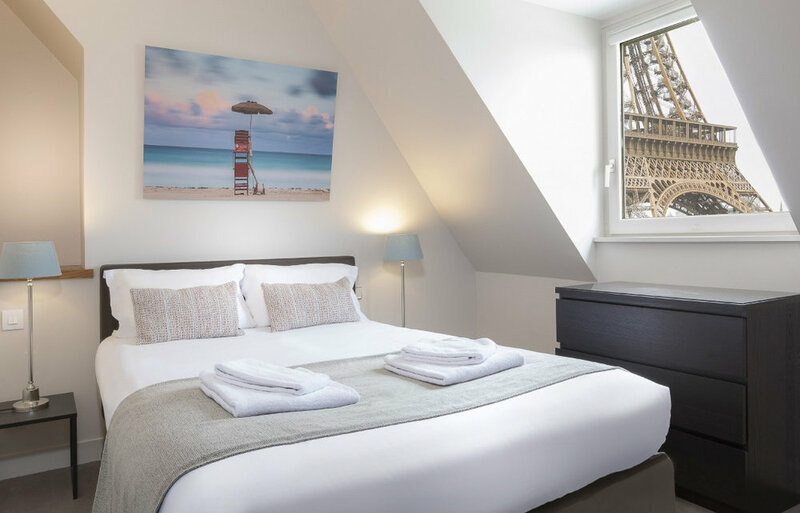 Their 100 rooms and 37 suites offer an incredible amount of natural light and what they consider "unmatched views of the Eiffel Tower and all the famous monuments of Paris” (wow). Their Terrace Eiffel View rooms feature private terraces with Eiffel Tower views, as the name suggestions. Other Eiffel Tower view options include the Eiffel View rooms, Duplex Eiffel View Suites, La Suite Gustave Eiffel, La Suite Shangri-La, and La Suite Chaillot. My favorite new discovery of all options in this list is The Peninsula Paris. Located in the 16th Arrondissement, it’s a 5-star hotel just steps away from the Arc de Triomphe. The suites are absolutely jaw-dropping, especially the 1400 sq ft Rooftop Garden Suite (seen above). Hotel San Regis is located in the 8th Arrondissement and is said to be one of the finest hotels in the world. 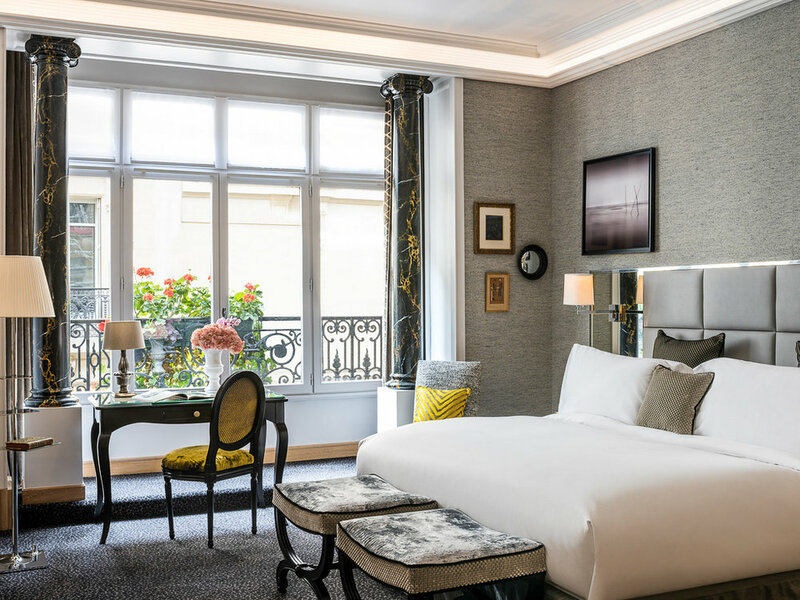 Their Terrace Junior Suites all include a private terrace with views of the tower and the rooftops of Paris. If you want a more local experience or just prefer Airbnb (I do sometimes, too), there are also many Eiffel Tower view options there. Buildings are old and there are almost never elevators. Staircases are often very steep and very narrow. If this is concerning to you, pay close attention to this information on your booking. Ground level in Paris is floor 0 so one flight of stairs up = floor 1, two flights up = floor 2, etc. Housing I would say is similar to NYC or SF — everything is old and small. It’s still great but just be aware of that. There’s almost never AC. If you’re going in July/August, pay attention to that! A lot of the options below don’t have great photos but sound amazing, so don’t let the pictures fool you. Read the reviews! Note: all photos below are via Airbnb. Direct view Eiffel Tower for 2/3! 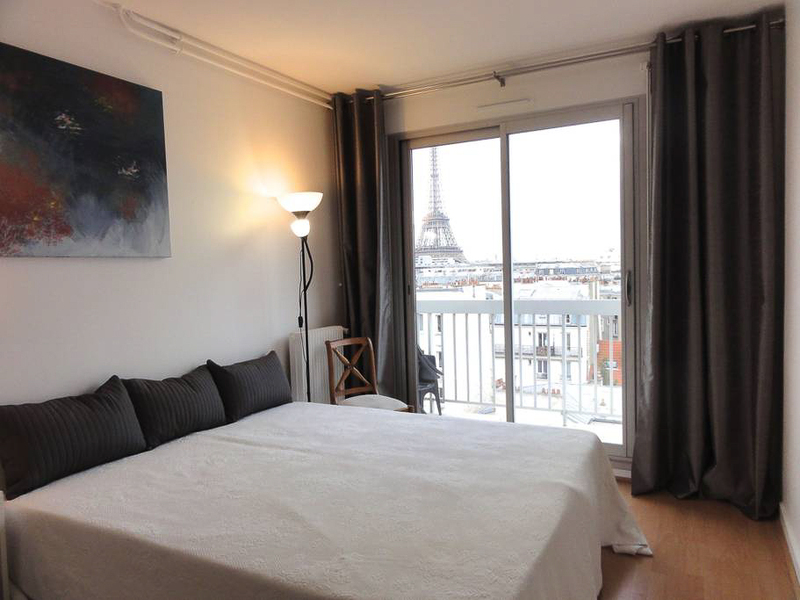 Note: this one especially does NOT have good photos but it does have an Eiffel Tower view and really good reviews. Don’t overlook it!